Controlling Static Electricity in the Hospital Environment – Why Is It So Important? Why suffer from problems caused by uncontrolled static electricity if you can solve them easily with ESD control materials? We work with different experts within the industry to be able to provide the best materials for controlling static electricity. We visited a pioneering hospital that goes beyond the demands of the ESD standard to guarantee the patient safety, the wellbeing of the personnel and a long life cycle for the medical devices. Static electricity has been a hot topic in the hospital environment since 1980’s. Controlling static electricity must be taken into serious account whenever talking about hazardous areas. Before, for example the anesthetic gases in the operating room were considered as explosion hazardous. With today’s state-of-the-art machinery and advanced technologies the amount of hazardous areas has been minimized. However, controlling static electricity can’t be ignored even in areas that are not considered as explosion hazardous. Static electricity causes many kinds of problems: unpleasant electrostatic shocks to the personnel, premature wear and tear to the delicate and expensive machinery not to mention the unneeded risk for the patient safety. "Whenever pushing the hospital bed into an elevator, I used to cover my hand with my sleeve to lower the level of the static shock (which I knew was going to hit me). I used to touch another surface before touching the patient so that I’d be the only one suffering from a static shock. I began to avoid using certain medical devices to escape from painful static shocks." Did you notice the past tense in these memories? That’s right, in this hospital they truly are just bad memories because the hospital took a few, quite small actions which eliminated the problems caused by uncontrolled static electricity. There are two ways to control static electricity: active and passive. Humidification is called active control of static electricity and is often used in the most delicate areas. We visited a day surgery department where they used precautions called passive control. Today, both the floor and office chairs are ESD control compatible in this department. One could add ESD control shoes, too, but usually two measures are adequate. If one fails, the other one remediates. In addition to cutting off the electrostatic shocks, ESD materials have other benefits, too. They are known to generate less dust, which means they increase the hygiene level and make cleaning easier. The wear resistance of an ESD floor is just as good as any other plastic floor material’s, neither is there any big difference in costs. Speaking of costs, you might want to consider the effects that the constant repairing of a very expensive, state-of-the-art medical device has on the hospital budget – not to mention the costs generating from the downtime. Our experts told that it’s not just the repairing costs, either, but static electricity may cause a poor image quality in the delicate CT systems. In this case it’s not about the money anymore, yet something far more important – patient safety. 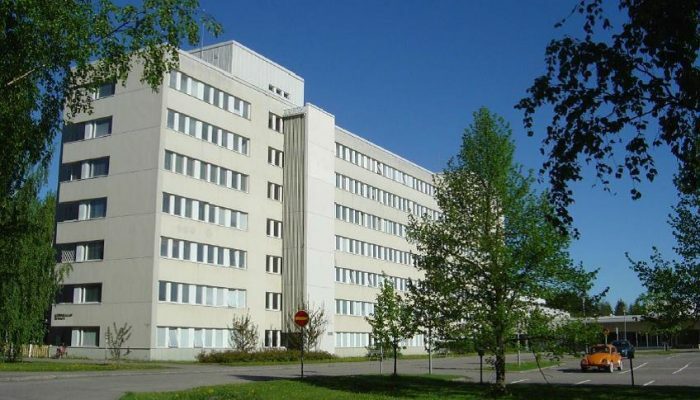 Thanks to the pioneering work of Kanta-Hämeen Keskussairaala in Finland the first ESD standard for hospital environment IEC 61340-6-1: ”Standard for electrostatic control in health care facilities" was released in Jul 13th, 2018. Are you aware of the new ESD standard for hospitals? According to the recently launched standard, two ESD control wheels are required in hospital beds and in other movable furniture. If you are looking for the best material for your ESD control wheels, drop us a quote! We are enthusiastic about developing ourselves and the whole industry further. We like to create and be part of innovative networks. Thanks to this valuable collaboration, Premix always has the latest knowledge at hand. Contact us and the next success story might be yours!